We all shed around 100 hairs a day, with 80% of these falling out as a result of washing or brushing. While this level of hair loss is perfectly normal, those of us who see more extreme levels of hair loss can be forgiven for our concern. Whether caused by a vitamin deficiency or illness, there are thankfully a number of solutions available for combatting this hair loss. From medication and diet changes to hair transplants and the ability to stimulate hair growth with PRP injections, the industry has reacted to the world’s concern with hair loss in kind. 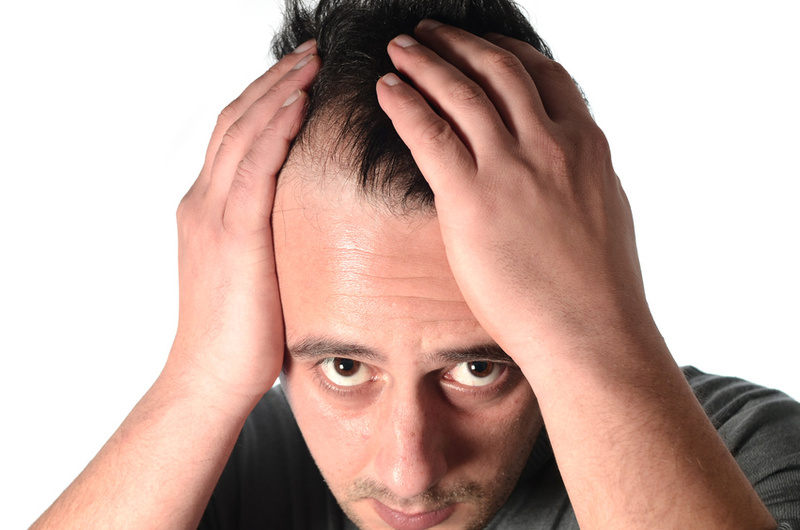 Here, we’ve put together a guide to combatting hair loss. Genetics – Commonly known as male/female pattern baldness, this is one of the most common causes in men and women over 40. Ageing – Our hair growth naturally starts to slow as we age, so men and women over 30 are likely to see some difference over the years. Nutritional Deficiencies – Your hair, like all of your body, needs nutrients from which to grow. For this reason, a poor diet can lead to weak, brittle and thinning hair. Stress – While the stress itself isn’t necessarily the cause of hair loss, the fight or flight response it triggers certainly is. The fluctuating hormones speed up the growth cycle, bringing hair to the end of the process much more quickly. Styling – Excess styling of your hair, whether that’s with heat, over-brushing, over-washing and even tying up your hair too tightly, can each lead to some level of damage and hair loss across your scalp. Once you’ve determined the cause of your hair loss, you can make a more informed decision on the solution that will work best for you. Those with predictable hair loss – usually causes of pattern baldness or hair loss due to trauma – can opt for a hair transplant in most cases. This involves the process of extracting healthy follicles from a donor site, usually, the back or sides of the head depending on the hair loss and transplanting them back into the scalp at the recipient site. The most common method currently used is Follicular Unit Extraction (FUE), which sees hairs extracted individually using a ‘punch’ tool. However, Follicular Unit Transplantation (FUT) can also be used, though this involves the removal of a strip of skin from the donor site, which results in a scar. If your hair loss or damage is due to your styling routine, consider changing it up to give your hair a break. Try heatless styling methods, whether that’s leaving curlers in overnight or braiding your hair overnight, getting the volume and style you need doesn’t need to require a curling iron or straighteners. Similarly, letting your hair down occasionally can help prevent strain on the hair follicles or breakages caused by tight hairstyles. In some cases, hair loss medications may be beneficial for you, but it’s important to speak to your doctor first. The most common medication is Minoxidil, more commonly known as Rogaine. This medication is designed to help the hair begin to grow again, particularly in cases of pattern baldness, though it can take a while to see results. The hairs are often softer than your current hair and, in most cases, extremely fine, but with time and continued use, this will return to the normal growth. It’s important to note, however, that this is only really effective on those in the earlier stages of hair loss. While there are other solutions, not least including adjusting your diet and taking supplements, these are some of the most common changes and additions you can make to help solve your hair loss. Which will you try?